EU data privacy regulations now in effect; CMA publishes guide for members. The European Union’s General Data Protection Regulation (GDPR) and ePrivacy Regulation are now in full effect. Click here for full PDF copy of the regulation. The Canadian Marketing Association (CMA) has created and published a guide— CMA Guide to the European Union (EU)’s General Data Protection Regulation (GDPR) and ePrivacy Regulation— intended to provide an overview on general requirements, as well as insight on Canadian implications. It is only available to CMA members. The GDPR’s expanded extra-territorial reach means that marketers must consider how the full scope of the regulations could apply to Canadian organizations. 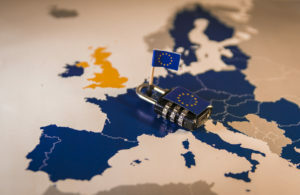 The GDPR will apply to any organization, wherever located, that uses the personal information of EU residents to market products to, or “monitor the behaviour of,” such residents. This application extends to the processing of personal information whether within the EU or outside of it, by both data collectors and data processors.